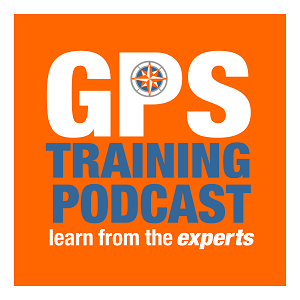 Welcome to this month’s GPS Training podcast, it’s our 14th episode. So if you want to see what we all look like take a look at our Facebook page. 1. We interview Tom from Garmin, as we get hands on the Garmin GPSMAP66s for the first time. 1. Garmin’s GPSMAP66s – at last! Last week Tom, from Garmin sales came and spent 24 hours with us and he brought with him the new GPSMAP66s from Garmin. Here is our chat with him. I know we have mentioned it in past Podcasts but we are still getting a number of questions over the phone regarding the TOPO PRO mapping from Garmin. It is a little confusing I think it is the ‘TOPO’ that is throwing people. So Andy, what is it? As you will be aware most of the GPS units we sell and train people to use are used for walking and cycling but what other activities are people using them for? First of all thank you for your podcasts, site information and videos. I have only been walking and hiking for the past 2 years and being of “mature years” I have a lot to learn. I learn a lot from Andy’s top tips and would like to add my own. My route this week was about 25 miles in mid-Wales which I intended to do over 2 days but having completed 13 miles and getting to the bus stop for my return an hour early I decided to complete the whole walk that day. The weather was great and I felt capable of finishing even though I have never walked this far in one go. Sunset was due at 18.30 which gave me time to finish in daylight I thought. – I had not taken fatigue into account. My Satmap was getting low on battery as the route required me to constantly check my position. I did not have a power back up as I intended to finish by midafternoon. I did not have a torch for the same reason. The last half mile was downhill through a very thick wood so there was little or no light in places even though there was light outside. This was not good for trip hazards. I am sure that as seasoned walkers you would not make my mistakes but it seems that there are more people walking now and lots of us are novices. 2) Always carry a power back up source for my navigating device even on short walks in case of battery failure. 3) Carry a torch all year round. Powerful torches do not have to be heavy. Maps are useless in the dark. Having said all that, the sense of achievement of walking 25 miles in one go and at the same time completing the ‘Severn Way’ was fantastic. In last month GPS Training Podcast we had a competition to win a free case for a SatMap Active 20. The question is – What do SatMap call their map card that includes the Ordnance Survey 1:10,000, 1:25,000 and 1:50,000 map sets on the same card? and – T – tell a friend about both GPS Training and the GPS Training Podcast, please help us spread the word. Many thanks for Andy joining me on this month’s GPS Training podcast. I like your programme of tips. I have a Sat Map 20 and find it a bit heavy and the rubber plug to protect the socket for charging is rubbish; difficult to put in and unreliable to stay in, I have now lost the replacement that was enclosed. So Sat Map was expecting them to go astray. It is a good instrument though. Keep giving those tips.